The leading Korean electronics company LG has launched the LG G4 beat on August 2015. It is the lighter version of the year’s flagship device LG G4. After the success of LG G3, this Korean giant put their entire effort to modify its G-series phones and LG G4 Beat is one of them. With a gorgeous 5.2” IPS LCD full HD display, it is one of the most admired devices of the year. It is equipped with an 8 MP back camera with laser auto focus technology and 5 MP front facing selfie camera. After the release of LG G5 and G6, some of the LG G4 beat users may feel like that they want to re-discover their device with some added features and something new to play with their hand. And what is better than performing root LG G4 beat. The LG G4 Beat root will open new doors to experience a new world of feature rich options and customization. So, today, in this article we will discuss how to root LG G4 Beat with ease. Before you start to root LG G4 Beat, it is mandatory that you read all the instruction properly and understand what to do and what not to. Any small mistake can damage your device. Also, make sure that you clear all your doubts before starting LG G4 Beat root as it may not be good for your device if you stumble mid-way. 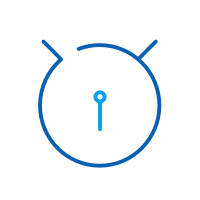 •	Backup of the phone data– You must take back up of your important data from internal storage to external storage device or PC so that you may not lose your valuable data due to some misshapen at the end. •	Advised Battery percentage – Root LG G4 Beat is a lengthy process and can take a long depending upon the speed of your data. So 70-80% juice on your battery is recommended. •	Follow rooting guide completely – You are recommended to follow the guide to LG G4 root thoroughly so that you can end up with a hassle free rooting. •	Knwo about the Unrooting process – Study suggests that some user may want to go back to the previous stage of the device. Thus, it’s highly recommended to learn how to unroot before you proceed. •	Disable Firewall and antivirus – There are certain firewalls and antivirus which blocks the process of rooting. Thus, you must disable all firewalls and antivirus on your PC before starting the process. For beginners, we should remind you that rooting is not officially supported and comes with a few disadvantages of its own. Most importantly, you may end up losing your phone warranty. Also, rooting LG G4 beat gives the user a thorough access to Android sub system and the kernel. This can be a security threat to the device as hackers can hack the device easily. However, the users who really want to perform LG G4 beat root, taking all the risks and want to experience the vast world of customization, this article is for them. In this article we have described the step by step guide towards a successful LG G4 Beat root. 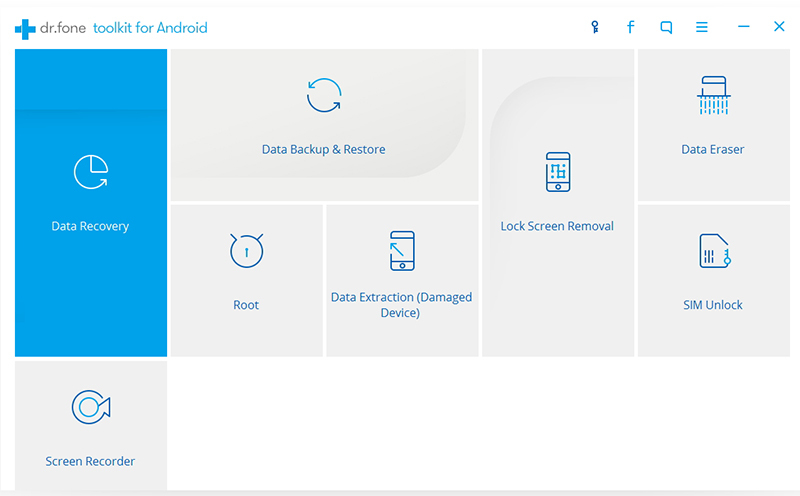 dr.fone toolkit - Android Root is a toolkit that helps root Android devices easily and effectively. This toolkit is very famous for its seamless action and highest success rate in the industry. It supports over 7000 smart phones worldwide and also provides a unique and easy to use user interface. 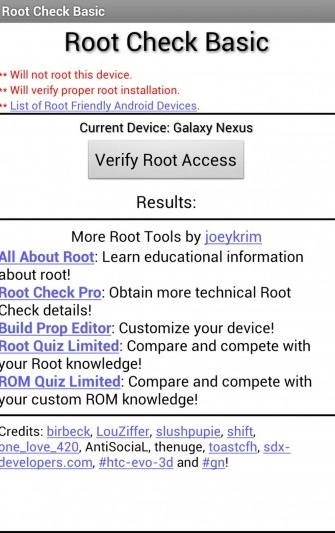 So, rooting any Android device using this tool is a very easy experience even for an amateur. Now, let us have a look at the step by step guide to root LG G4 Beat with this revolutionary tool in a few minutes with a few clicks. When installation completes, open the application on your windows PC and you should find the below window. Now click on “Root” to proceed further to next step. 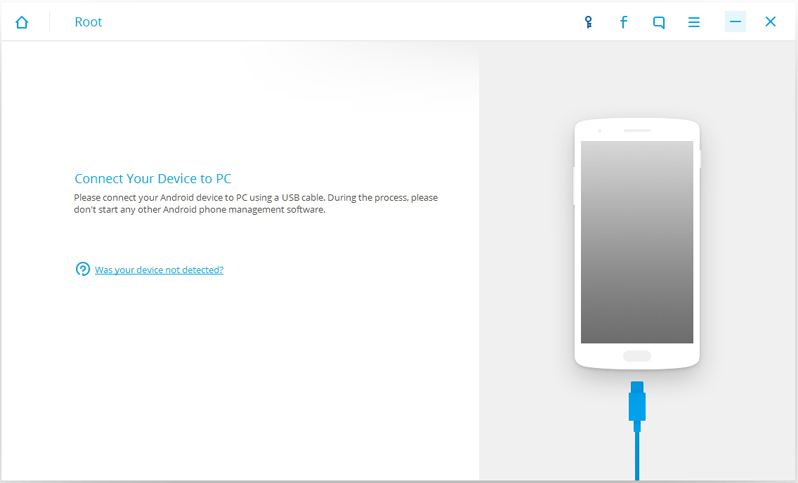 After you click on “root”, you must connect your LG G4 Beat with the PC using an USB cable (original one). Remember to allow USB debugging if prompted by the system. Now, your LG G4 Beat should connect successfully with the PC. When the device connects successfully, you should see a option “Start”. 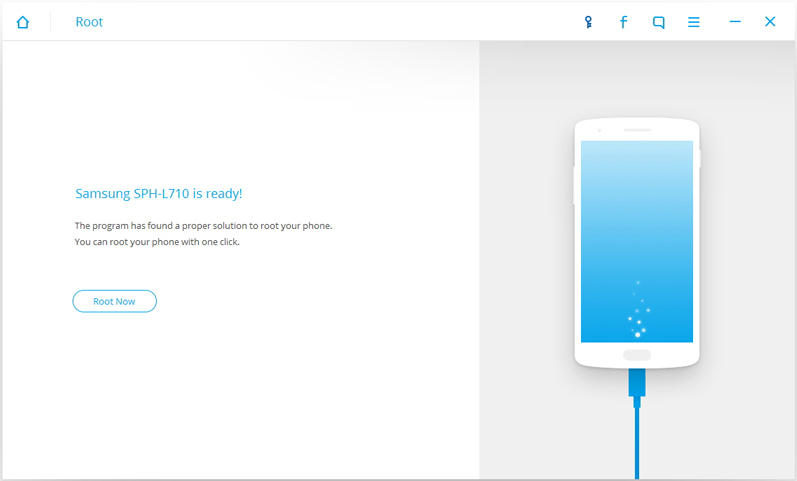 Now, click on “start” to allow the application finding the proper process for LG G4 root. It might take a few minutes. Now, when the application finish finding the proper way to root, you should see a pop up as “Root Now” to proceed further. 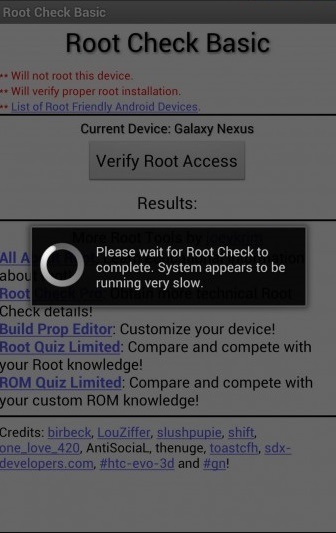 Click on the option to proceed with the rooting process. After a few minutes, your rooting will be successful and you should see the successful rooting process as below. Note : It is highly suggested that you should make sure the USB cable should be connected all the time. Any interruption in this process may lead to damage or brick your device. 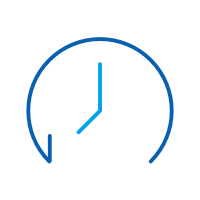 So, as you can see, this is the simplest process to root any Android device within the shortest time and makes it a hassle free process. The Android Root is 100% safe and secure and also is known to be the most admired rooting tool available in the recent days. Part 3: How to check if LG G4 Beat is rooted? After the process of LG G4 Beat root, it is mandatory to check if the rooting is successful. 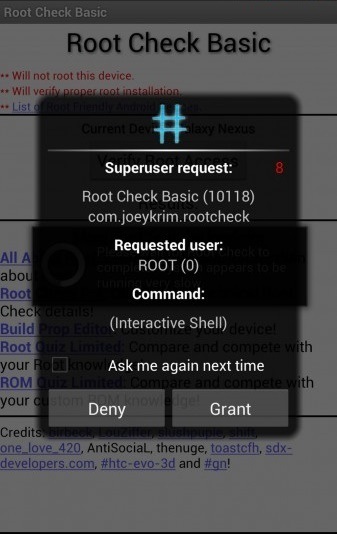 For this check, we recommend to use “Root Checker” app. User can download app from the Google Play store for free. The file size is near about 9 MB. Now, Open the app. You should see the window as below. 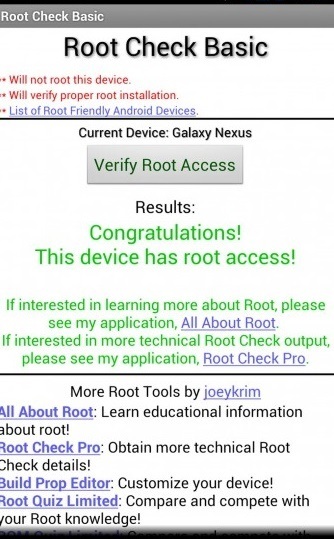 Now, tap on “verify root access” button to let this app scan your device from root access. Wait till the app finishes the scanning for the root access. This is recommend to tap on “grant access” button when prompted by the device as follows. That’s all you have to do. Now you can see the result as “Congratulations! This device has root access”. Now, if you get this message on your device, this means that your LG G4 Beat root has been successfully completed. 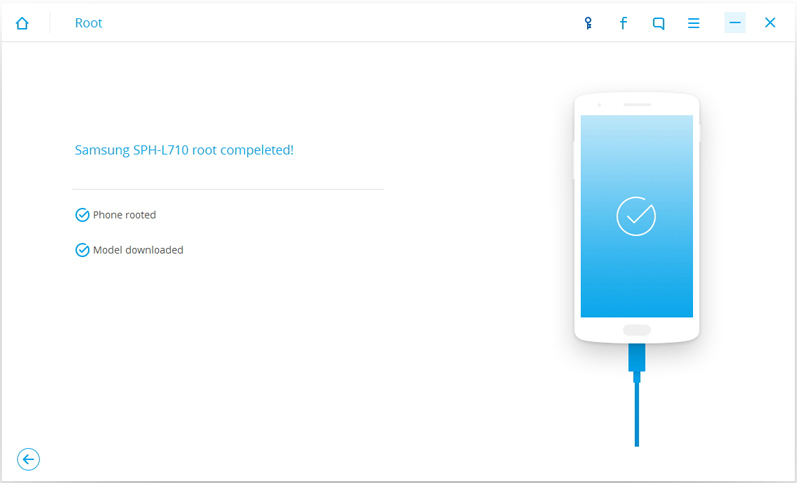 Thus in this article, we learnt how to root LG G4 Beat easily and seamlessly with the help of the renowned toolkit Android Root by Wondershare dr.fone. Also, we learnt how to check the successful root of your Android device by using the Root Checker app. It is recommended that you use all the steps mentioned in the tutorial so that you can have a successful root LG G4 Beat. Just remember to be cautious about the process and enjoy your updated and rooted LG G4 Beat. To get the ultimate control over your set, rooting is the best option. So learn how to root Moto E in this post.